Many of us worry about buying unsafe toys during the holiday season. This concern has merit. In 2011 alone, more than 262,000 toy-related injuries were reported and another 13 children were killed while playing with dangerous toys, according to the Consumer Product Safety Commission (CPSC). 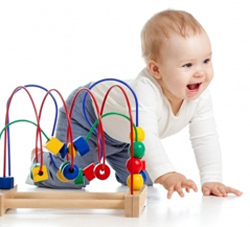 This year, the CPSC reports toy recalls are down, but toy-related injuries have risen. Choose Age-Appropriate Toys. Toys should have labels explaining age recommendations and other important warnings, such as “Flame retardant/Flame resistant.” The CPSC recommends avoiding toys with small pieces for children under age 3. They pose a choking hazard. For older children, avoid playsets with small magnets and balloons. Buying Toys Online. Read instructions for use carefully. If you are buying from Amazon or eBay, remember those websites are only shopping forums. Take note of which company is selling the product. Sharp Pieces.Toys designed for children under 8 years of age should not have sharp glass or metal edges. Shattered Pieces. Set aside any toy that looks like it could easily shatter into small pieces and cause choking, cuts or other serious personal injuries. Magnets.Toys with small magnets are dangerous to children. When children swallow one or more, the magnets can pull together and cause internal injuries, resulting in vomiting, abdominal pain and infection. In the past few years, children have suffered serious injuries and even death. In response, the CPSC has started a Magnets Information Center. Loud Noises.Toy guns, tablets and talking dolls can damage a child’s hearing over time if used too closely. Cords and Strings. Toys with long cords and strings can cause strangulation. Carefully consider this before you buy crib gyms, baby mobiles and swings. If a child can reach a baby mobile, it should be removed. Batteries. Make sure an adult, not a child oversees battery charging for any toys or electronics. Avoid toys with small button-cell batteries, which can be easily swallowed and cause burning, esophagus pain and vomiting among other symptoms. Also be aware of other appliances, such as remote controls, which use these small batteries. Sports Equipment. When you buy a sports-related toy, make sure you also buy the safety equipment, such as bike helmets for bikes. Children are required to wear bike helmets in Massachusetts until age 16 and if an accident were to occur, they are an important tool for preventing a lifelong head injury. Holiday Toy Safety, Consumer Product Safety Commission. Tiny Batteries Causing Big Health Problems for Kids, ABC News. The Boston personal injury attorneys at Breakstone, White & Gluck have over 100 years combined experience handling claims involving defective toys, household products, medical devices and motor vehicles. We handle cases throughout Massachusetts, including Boston, Cambridge, Quincy, Framingham, Natick, Burlington and Dedham. If you have been injured, contact us today at 800-379-1244 or 617-723-7676 or use our contact form.